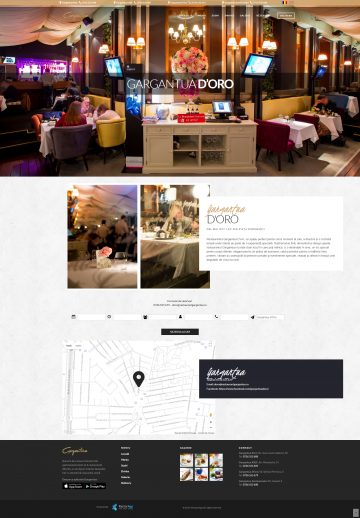 Platform with presentation website and home delivery section through which Gargantua Restaurant locations and services are described. To meet the needs of current and potential customers, the website includes photo galleries specific to each location and menu. 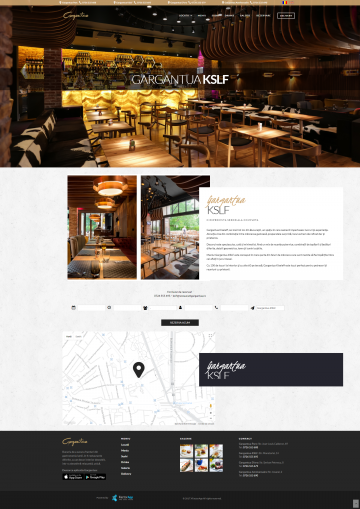 It has a responsive design, homepage video based and content in Romanian and English. 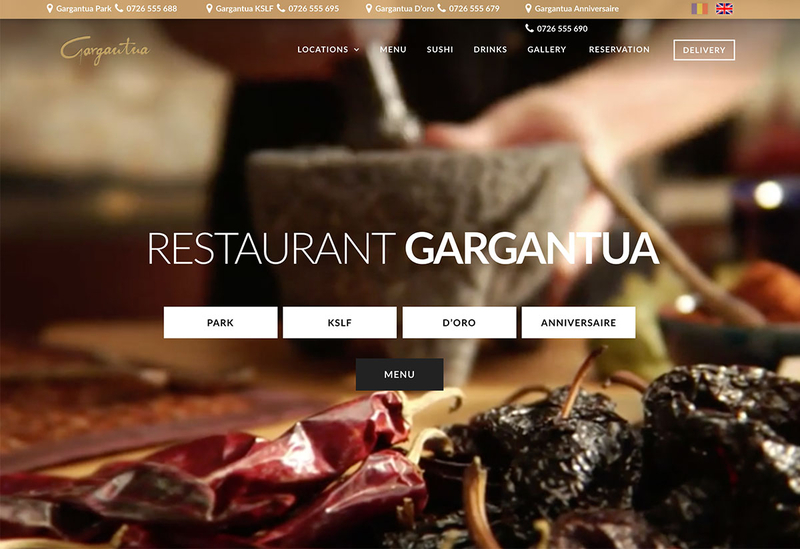 The Gargantua Restaurant includes a complex booking system on each location. Customers can make their reservations directly from the website selecting the date from a calendar. They also need to complete the desired time range and specify the number of persons. The web platform is customized for the needs of customers and includes key details about the menu, costs, locations, program, contact details. Gargantua Delivery Section allows users to create an account based on email and password or login via Facebook. The delivery page includes product categories, menu selection function, online assistance, shortcuts to product selection and order view. The web platform provides an interactive dashboard for managing content, images, or texts. This allows website optimizing for search engines, by adding meta-features, image optimization, sitemap, conversion codes, and tracking. Gargantua Restaurant offers customers the joy to relish the most delicious dishes. A gourmet landmark divided into four different restaurants, with carefully selected menus which satisfy the requirements of the most demanding consumers. Gargantua Restaurants are dedicated to people who share things and experiences. From exquisite halls, chic terraces and beautiful locations for special events, Gargantua offers its clients the ideal destination for all their different occasions.